It’s no surprise that the Philippines is full of hidden wonders. With a variety of the country’s tourist destinations garnering international attention, more and more people are starting to become curious about the archipelago. In fact, back in 2016, the “Visit The Philippines Again 2016” campaign of the Philippines’ Department of Tourism dominated the concourses of London’s Waterloo train station and made Londoners want to pack their bags and book a flight to the country right then and there. People passing through the station responded positively to the campaign as they were given a glimpse of the Philippines through a variety of activities, contests, virtual reality experiences, and videos projected on huge LED screens. If you’ve also been curious about the Philippines, perhaps you want to know a little bit more beyond the beaches, lagoons, and islands. One of the provinces that don’t share Boracay and Palawan’s limelight is the province of Rizal located just a few hours away from Metro Manila, the country’s capital city. Pinto Art Museum is more than just a beautiful building with paintings and art installations. This 1.2 hectare property in Antipolo City brings together five different galleries hosted in different Greek-inspired structures. When you walk along the open space from one gallery to another, you will discover art installations and sculptures along the way. The museum celebrates the unique styles of a variety of artists, mostly focusing on contemporary art. More than just showing visually appealing artworks, Pinto Art Museum engages all senses. One of its interactive pieces is Antonio Leano’s “Forest” which is a small, dark room filled with bamboos and small ponds. To complement the piece, nature sounds are soothingly playing on-loop. Don’t forget the sense of taste. Pinto Art Museum has its very own Cafe Rizal where you can indulge in Italian cuisines, desserts, and refreshments. Overall, Pinto Art Museum is an artwork itself. All corners of the place are perfect for good old picture-taking to document your visit. Make sure to wear something stylish yet comfortable as there will be lots of walking. You should also keep an umbrella with you just in case it rains. The Masungi Georeserve is one of the most iconic places in Rizal. This is where Mother Nature showcases her own beautiful works with just a few enhancements from Masungi Georeserve’s eight attractions. Did you know that the place also comes alive at night? Masungi recently opened a Night Trail which showcases the same attractions with lighting enhancements and campfires. Get ready to experience standing on a web-shaped viewing platform atop limestone formations and resting on a giant net hammock above a natural cactus garden. The entire course takes about 3 to 4 hours. Make sure to wear comfortable clothes which you can easily move around and willing to get down and dirty in. You should also bring a water bottle with you to keep yourself hydrated throughout the course but know that the restrooms are only accessible at the start and end point. Masungi Reserve requires advance reservations because groups are limited to 14-15 people, and each group is accompanied by a professional guide. This attraction in Tanay, Rizal, will treat you to a wondrous view of a sea of clouds if you get there reasonably early in the morning. Though seas of clouds aren’t new, what sets this one apart is that there is no need for a vigorous trek. 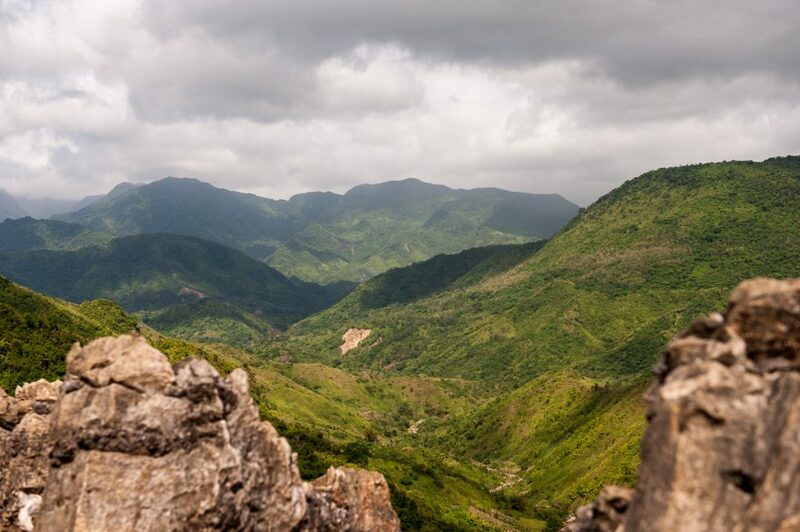 The path to Treasure Mountain’s peak is easily accessible via private vehicles but if you opt to have a little more adventure and trek your way there, that would be fine too. Trips to Treasure Mountain are available for day tours and overnights. No matter what your preference is, the sea of clouds is almost always there in the early morning. Later in the day, the clouds may not be there but the mountain still rewards you with picturesque scenery and you may also check out a nearby waterfall called Busay Falls. A trip to Treasure Mountain will definitely not disappoint! Its easy access won’t require you to have special clothing and equipment if you will be visiting on a day tour but for overnight stays, you will need to bring or rent your own tents, or you may stay at the designated lodgings. Treasure Mountain has its own snack store, too, where you can enjoy local delicacies among other things. If you want an experience straight out of a history book, then head over to Angono-Binangonan Petroglyphs Site. This attraction was declared a national treasure way back in 1973 for the primitive drawings you can find inside the cave. Because of these drawings, the petroglyphs site is considered to be the oldest work of art in the Philippines. All in all, you can find around 127 human and animal cave drawings that are said to be created during the Neolithic period. That’s around 3,000 BC! When the site was discovered in 1965, other rock arts were also found. You can find the other discoveries at the information center at the holding area in the site. Make sure to wear comfortable clothes and bring a water jug with you since you will be passing through a smaller tunnel-like cave and a forest path before reaching the holding area. From the gazebo (holding area), you will be ascending a few flights of stairs and some more paths to see the carvings on the rock walls. All in all, it takes about an hour and a half at most to complete the entire experience. Rizal province offers many more exciting things beyond these four unique destinations so if you’re looking for new adventures to spice up your visit, consider Rizal to be part of your Philippines travel experience. Aside from the petroglyphs site (which I am determined to visit after reading this article) I’ve been to all these places in Rizal province and totally agree with the author that they are worth visiting – especially the Pinto Art Museum which in my view is better than any museum in the city.